Billboard advertising is part of the large format outdoor arena. A media that’s transforming the landscape we live in and visibly changing the look of our towns and cities. Billboards are a great way to reach the masses – to reach where they live, commute, work and socialise. Unlike other mass advertising media such as TV or radio, billboards can’t be switched off. Or with magazine print advertising, it can’t be put down. Or with Internet advertising, it doesn’t disappear as quickly as it arrives. So what are the main advantages to using billboards? You only have a few seconds for someone to glance up at a billboard, so their size is a huge advantage. Large, bright, eye-catching graphics with one key message is the best route – it will leave people with a lasting impression in their mind. Ads on billboards are free to passers by – they don’t have to buy a newspaper or a cinema ticket in order to view your message. With more commuters on the roads than ever before, billboard advertising allows you to reach more people faster and cheaper than any other mass marketing media. With billboards you have a guaranteed audience. As your message gets repeated views it becomes more engrained in their memory, they will remember it more and will come to find you. Billboard advertising is the only media where the advertiser has full control of the ad space. The ad has constant exposure – no other media allows your message to be displayed 24 hours a day, 7 days a week. Outdoor advertising on the whole is constantly evolving – media advertisers are working closely with brands to incorporate digital, social media and interactive strategies to increase consumer engagement. Brands such as Coca-Cola, BMW, Sky, McDonalds, Tesco and Nike are all doing it – why aren’t you? 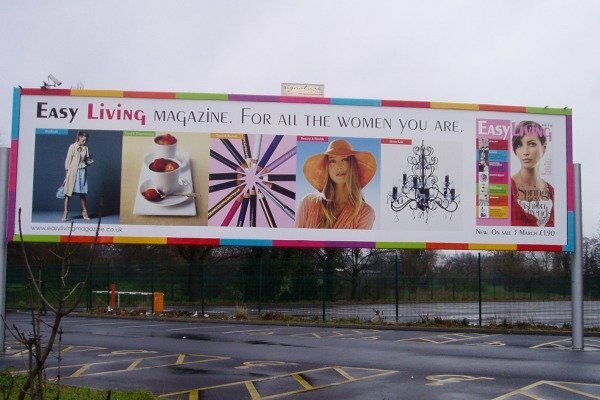 Here at Cestrian, we were one of the first companies in the UK to offer digital paper billboard printing and we’ve maintained our position as an industry leader in large format printing.